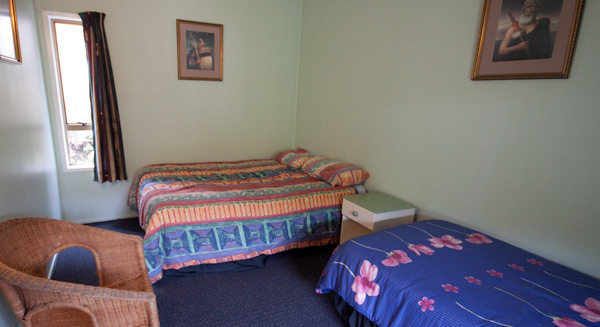 Double Rooms contain a double bed and a single bed. Family Rooms contain a double bed and a set of bunks (i.e. two singles). Rates are $92.00 per night for two plus an extra $27 per night, per extra person. Rooms are fully made up and towels provided. Kitchen and bathroom facilities are shared and serviced daily. Pick up from Great Barrier Island’s Tryphena wharf and Claris airport is by arrangement with transport available daily to beaches, walking tracks and shops. Our self-catering facilities are fully equipped, or you can relax in the Stray restaurant and bar.